As we wind down for another season on the water with the NYC Audubon and New York Water Taxi, we’re happy to report a number of harbor seal (Phoca vitulina) sightings in the lower Hudson. We have seen seals either in the water near Hoffman and Swinburne Islands, or hauled out on Swinburne Island in particular. On February 9th, we observed the most seals ever recorded during our two winters of observations: 15 seals hauled out on Swinburne Island and 16 seals in the water. As we’ve counted seals during the last two seasons with the NYC Audubon Ecocruises, it has helped us to develop better observation protocols for future excursions. One of our main goals is to identify individuals that may use specific haul-out sights in New York City, both during the season as well as annually. We will use our photos to help identify individuals and their relative locations, and hope to match this trend year after year. To do so, we will apply a matrix to look at the recognition of particular features on each seal, such as their face and coat. This process is similar to facial recognition technology used by the United States TSA, as well as social science researchers interested in human emotion and attraction (see work by Burke & Sulikowski, 2010, ‘A new viewpoint on the evolution of sexually dimorphic human faces’ in Evolutionary Psychology). If we find that specific individuals are using preferred haul-out locations, and are returning to New York City every year, this will provide us with a promising trend in demographic numbers. Moreover, as we previously considered, this trend may have something to do with a larger ecological picture, and hence healthy seal numbers in New York City may be a bioindicator of marine ecosystem health. There are only two more cruises left, on March 2nd, and March 9th, and we’ll be back on the boat to conduct the last of our field surveys for the season. We hope to see you onboard, and next winter, too! There are only two cruises left, on Sundays, March 2 and 9! 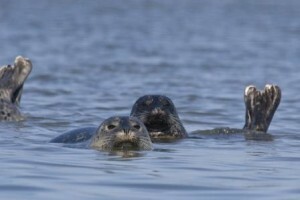 Click here to register for one of our remaining Winter Seals and Waterbirds of NY Harbor Ecocruises. Christmas Count Results Are In! The final tallies for the 114th Christmas Bird Count are being submitted from across the nation, including our very own New York City, which is covered by five different count circles. Brooklyn, Queens, and Staten Island each have their own count, while Manhattan is covered by the New Jersey Lower Hudson circle, and the Bronx is counted along with Westchester. More than 200 expert and novice birders took part in the five counts, resulting in hundreds of hours in the field. We’ve compiled the preliminary data form all five count circles (including only the New York City part of the New Jersey Lower Hudson and Bronx-Westchester circles) to take a look at what’s going on across the five boroughs. All CBC numbers are yet to be reviewed by regional editors, so the numbers included here are subject to revision. Brooklyn had a cackling goose for the first time in the count as well as an all-time high count of 10 for the wood duck. Rare species for Brooklyn also included one each of Wilson’s snipe and semipalmated plover. ne in Manhattan, and 12 in Staten Island. The only bird to make a count-week-only showing across the board was the lesser yellowlegs in the Bronx. The Bronx was also the only borough that didn’t miss red-breasted nuthatch, and it had five common ravens (one was also counted in Queens). Queens highlights included king eider, Nashville warbler (which also showed up in Brooklyn and Staten Island), and two glaucous gulls. Staten Island recorded a single harlequin duck, but it had an all-time low of only 12 American crows. 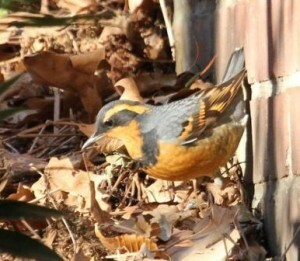 The star of the Manhattan show was the varied thrush found by Louise Fraza and Pearl Broder in Stuyvesant Town, an adult male so famous in his appearance that our regional compiler didn’t require us to submit photo proof—he had already seen pictures of the bird online! As expected given the phenomenal snowy owl irruption we’re experiencing this winter, numbers for this visitor from the north were way up, with 22 counted between Brooklyn, Queens, Staten Island, and a count-week showing in the Bronx, blowing previous CBC records out of the water. I can’t begin to describe the excitement I felt last Tuesday as I was driving to JFK airport. I was not going to JFK to catch a plane bound for some tropical island. No—this was so much better than that. 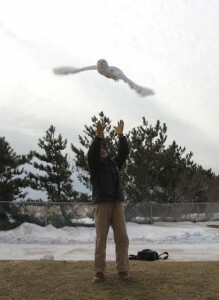 I was going to help my colleagues band and release a snowy owl that had been trapped Monday night as part of a new relocation program at our local airports. 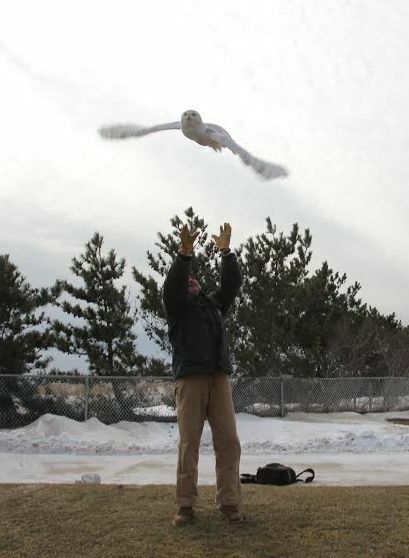 This past December, the Port Authority of NY and NJ changed its policy on dealing with snowy owls on runways at JFK, La Guardia, and Newark airports. The old policy was to either chase the birds away, or if they didn’t fly off, shoot them. After several snowy owl shootings at JFK airport were reported in the local press in early December, huge public outcry and pressure from New York City Audubon and Audubon New York ensued—and the policy was changed. Now the owls are being given a second chance—or as many chances as it takes—to leave the airports and continue on their way. This change in policy couldn’t have come at a better time. This winter we are experiencing an unprecedented number of snowy owls in our area—an irruption or shift in typical wintering grounds. Typically wintering in the northern US and southern Canada, some snowy owls have even been seen in Washington, DC, Florida, and Bermuda this year. Several governmental agencies and NYC Audubon are working together to trap, band, and relocate the birds away from our local airports. Last Tuesday’s bird, a hatching year male, was the first one caught at JFK.